Understanding that ascension is a complex game has been made a bit easier to navigate through with the likes of Karen Danrich's work. Or 'Mila' as she called herself before she closed her site. Years ago she began her conscious communications with the animal species and the earth and creation. It was mentioned numerously in some of these communiques that she would not communicate with other personalities or entities. 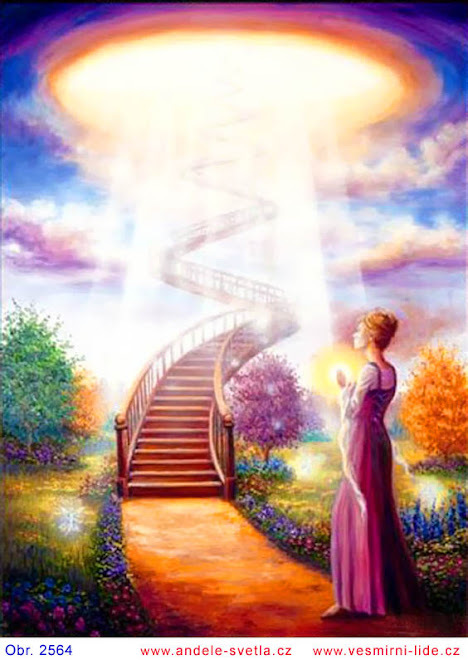 If I understood right, the reason why she refused to communicate with Ascended Masters and other personalities was because all had participated in the ascension dance over time - whether here or in other creations. And by her reckoning, therefore, all were subject to manipulation of their fields (or doing the same to others) and were therefore not pure sources from whom to receive accurate information about earth's history and related. Given that we are all subject to earth and galactic history and have all been all over universes across time and space, that makes good sense. Anyway, she kept it that way, but managed to deliver the most incredible information from her sources on what it means and takes to biologically ascend. All from the various animal kingdoms' perspectives and the varied 'gifts' they each bring. The Heron Species through Karen Danrich "Mila"
The Heron kingdom has much to say to ascending humans today. Blue Heron’s as well as the black and white varieties are member of the bird species with a large wingspan and bill suited to hunting larger fish in the ocean. The Pelican, which is a “cousin” to the Heron Kingdom has a large enough bill to store a weeks worth of fresh fish regurgitated to feed from during long flights while migrating from one region to another. Heron also has the capacity to store regurgitated fish in our system for such a purpose, which is how we often migrate from Australia to Hawaii, or between many of the islands in the Pacific island chains. Mila once sat at a restaurant in Honolulu that had a fishpond and waterfalls nearby. There on a rock stood a Blue Heron resting upon it from a long flight and migration pattern. Mila pondered how much easier it might be to eat the fish in this pond than hunting wild fish in the ocean. We were not interested in the fish as much as connecting to Mila, and had much advise to offer up at a difficult time in her ascension. Mila has since come into contact with us only in a few other circumstances in the islands, again usually for advice more than any other cause. Mila has been grateful at our suggestions, and followed through with the direction we offered, which assisted in her ascent. Mila opened to the holographic nature planes long ago and therefore could communicate via her heart with all species upon earth, or within your creation for that matter. So can each reading these materials open their heart and open unto their own holographic knowing through ascension along with communication with earth, the nature kingdoms and one’s own soul. And so what does Blue Heron have to say to ascending humans today? So many humans are tied by silent and invisible cords to their current circumstance, partnership, job, friendships and region of origin. Sometimes it takes a bomb going off in one’s life to cause one to move or make changes. This is difficult in ascension, as change must flow to facilitate the ongoing release of attachment that one has had to other people, places, pets, objects, land or other possessions. How can one ascend beyond a certain point if one does not embrace the change associated? Well the bottom line is that one will cease to ascend for a time until the change comes to fruition. There is magic in the change. Two initiates coming to the Jasper Conclave who had such difficult manifestation circumstances in their region of origin found instant jobs in town, and chose to change everything and stay. There is joy in the change, and expansion, and a sense of freedom and fulfillment. These two initiates wondered why they had packed so much before arriving; their bodies knew all along that they were not returning home. As the change is embraced, now the longed for initiations that they have hoped to master can come to fruition, as the release of the cords of attachment are a requirement in order to ascend. Sometimes one cannot ascend without letting go and facilitating the change. In the change, there is a whole new life ahead; new friends, new acquaintances, a new region to explore; and in this is a sense of freedom and excitement, if not also fear and trepidation. Why the fear? The fear comes from those one is leaving behind along with a host of nonphysical forces that one is also leaving behind as one ascends and the cords of attachment release. These beings have trepidation about what is going to happen unto them as all humans leave them behind or die off in the coming times of cleansing. Perhaps they too will go home to their region of origin and begin to ascend; there is no end to existence, only the dance, the lessons learned, and ultimately the journey home. Fear often enters the experience when one is going to do something new that one has never done before. However if one really assesses oneself from a multidimensional and ancestral point of view, one would understand that there is really nothing new under the sun. One has done whatever one is about to experience that is new in this lifetime at least a thousand times before, if not a million if one considers one’s multidimensional human connections. Therefore what is there to fear really? Only fear itself, or so this has been said in human form by yet others recognizing that fear is not real, but an illusion. As the fear is released, it is no more and one is free to go about whatever one was in fear of. Mila has instructed her students to “drain off the fear down the grounding cord to the aurora”. By in large, this is how Mila learned to deal with her fear, or the fear that generates in larger gatherings such as Masters Conclave. As the fear gathers, it causes tension in the room and amongst those anchoring for the event; she has learned to simply drain it off, and generally by the lunch upon the first day, the ice has broken and all are having a good time connecting with one another. So this can work for one in any circumstance; if one finds oneself going on an interview, drain the fear out of the room and out of those one is meeting; ground oneself, all others, the room and the region unto the aurora. Perhaps the interviewer is in as much fear as you are as the interviewee! Learn to ground solidly to the aurora and the earth mother, and all dissonant vibrations that are not one’s own simply falls off, like an old coat one no longer requires. What is fear really? Fear, terror, pain, anger and suffering are vibrations that are dissonant; in the dissonance they cause the emotional body and form to feel uncomfortable or go into pain. Most frequencies that are non-resonant with oneself belong unto others. Fear, terror, pain and anger along with suffering are all the result of how enmeshed the human species has become; as truths and frequencies humans hold became intertwined between parties and due to the attachment of frayed DNA and grid work linking outward rather than inward, the result was the experience of pain, anger and fear. Release the attachment and return the energy that belongs unto another, and one will come to an inner-centered state of being that is in peace. So Mila learned in her early years of psychic training, as grounding allowed her the first sense of being centered and at peace she had ever known in her entire life. Those who are sensitive will find the greatest benefit from learning to ground and separate energy from others surrounding oneself, or family members, spouses and children in particular. It is generally our family that one has the most attachment to. This can also include one’s spiritual family if one has associated with a spiritual group for some time. One’s truth and frequency is unique; however when one’s own energy becomes muddled with the energy of others, it becomes discordant and confusing. Codependence is the result of the intertwining, as one feels what another is failing feel and has disowned, and then takes action to care-take another as they should be taking care of themselves. This is really the underlying cause of codependence; disowned emotions. Disowned emotions come in a multitude of forms; they can come from a piece of self of another fractured off in a traumatic incident that has been pushed into one’s field; they can come from an intertwining of emotional bodies or any subtle body for that matter, including mental, intuitive or creative bodies. Disowned emotions can come through the manipulative energy patterns that others have learned to use through the attachment into one’s own field. The solution is the same in all circumstances; send that which belongs unto another back and retrieve what is one’s own, and separate by allowing the attachment to be burnt off in the act of ascension, and the associated grid work rewoven inside the etheric body where it belongs. All attachment is DNA and etheric grid work that should be supporting the etheric form that has frayed and interconnected with others instead, much like a large spider web that interweaves everyone that one knows, and all of humanity at large. Over time and due to the many nuclear annihilations and false ascensions, humanity became increasingly intertwined and to a point that one does not know where one begins and another ends. Ascension brings about the reversal of this process, with a gradual gathering together of who and what one was at another time period and before such incidents ever occurred, and the return unto others what is also rightfully theirs in inheritance. One cannot really do this thing called ascension alone; it requires the participation of all of humanity, for all are intertwined. Ultimately this is how mass ascension shall be triggered; as more take responsibility and ascend individually, they force change upon the whole by returning lost parts of self and attachment. In the return, the change is forced upon all associated, whether they are aware of it or not. This Mila perceived with her family in her early ascent; the more that she returned and separated, the more that they changed, to a point that her mother who had been so nasty most of her life became increasingly docile, respectful and downright supportive of her. The inner healing was miraculously reflected back; which is what a “mirror” is. In the ascension teachings Mila and Oa, the mirror is frequently referred unto as a source of reflection for spiritual evolutionary purposes. In extreme polarity, everything in one’s unconscious is reflected back in one’s day-to-day encounters as well as life circumstance, and is one’s “mirror”. If one is unconsciously angry or abusive, one will attract an encounter with an angry or abusive person that will mirror one’s own unconscious state of being. If one is loving and joyful in the unconscious, one will manifest an encounter with other loving and joyful humans. If one is integrating a particular karmic circumstance, one might manifest the entire or a portion of the circumstance in one’s current life dance; the experience is a mirror of the karma that one is transcending in the unconscious. Let us give a few more examples of this so that each may better understand. Let us say that one has manifest a partner that is difficult and corrupt, and not only does the spouse cheat upon oneself sexually, but they made off with the bank account or run one into extreme debt. If one examines one’s ancestry, one has had the same experience with others of this other humans’ ancestry many times. Furthermore, for the number of times that one’s own ancestry was betrayed, one has betrayed the ancestry of the other in equal proportions and in similar ways. In the karma emerging in one’s ascension to clear, the circumstance manifests yet again. One can choose to fail to forgive the dance in the greater understanding of the sum total of one’s ancestral experiences; in which case the dance will continue between parties in future lives; or one can forgive and complete bringing the entire dance to closure. In so doing, no future ancestors need be betrayed or betray the other’s ancestors again, and a new dance of honor and unity can be born. Ascension allows for the forgiveness and completion of any particular dance, regardless of how painful or how much one appears as a victim. The feeling of being victim is simply because one has given one’s power unto the other to do this or that against oneself. Even in cases of abusiveness or violence between parties, one has still given one’s power unto another to harm. Take one’s power back, set one’s boundaries, cease to participate in the dance, and one will stand firm and tall in one’s truth; and the other will cease to violate any further. Violence is all the result of the mixture of disowned anger between parties. In the attachment, anger is passed from one to another like a hot potato. Some learn to embrace the anger and use it to empower them, because the rage they hold on to puts others around them in fear. In the fear, others subordinate allowing such individuals to dominate. Yet others sit upon the anger burying it even deeper in the unconscious and then do not perceive that it exists. This leads to cancer over time in whatever region that the anger has been stored within the form. As an ascending being, one learns to own all of one’s own anger; and also learns boundaries surrounding the anger of others. It is the anger of others that causes one to feel like violating another, or like “pummeling their head against the sidewalk” as Mila would say. Return the anger, and release one’s own anger and one will come to peace. One’s own anger will feel refreshing and recharge oneself. Why is this so? It takes three times the energy to repress anger than to allow it to flow; as the anger flows one feels better. As the anger flows, one acknowledges that another has violated oneself or stepped upon one’s toes. As one acknowledges the violation, then one is free to speak to the other about the issue and draw verbal boundaries; or if one cannot speak to the other, one can create energetic boundaries that serve a parallel purpose. The purpose of boundaries is to set a line beyond which another cannot cross. In the energetic dynamics between humans, attachment allows others continuous access to one’s field. It is only in the release of the attachment that real boundaries may be constructed, for as there are no longer any ties from one to another, the intention to remain separate will hold. As long as there is attachment, then the intention to remain separate will fail. Therefore if one has set boundaries, and continues to find oneself invaded by the energy of another, or continues to lose records, chi or information to another, then look for the cords of attachment that allow the dance to occur. Then intend to burn the attachment from end to end with one’s kundahlini fire and energy flow, and one will separate. Clearing the karma for former attachment between ancestries is also helpful along with any other traumatic incident that might have occurred in the past that is also associated. Ascension causes an ever-increasing outward push into vibratory bandwidths one did not access yesterday, last week, last month or last year. As one pressed into new bandwidths of frequency, one will find more attachment that could not be perceived before along with other parts of one’s unconscious that one’s ancestry lost as it too existed at the given bandwidth of thought-form. In the unconscious, one will find lost ancestors, lost pieces of soul, lost parts of one’s own information, along with everyone else’s; for there has been no filing system for the human unconscious. Long ago Mila learned to set up a filing system for the unconscious for herself. One can do this through conscious intention. In one’s filing system goes all new pieces of the unconscious gathered in any given day of ascension. Then an angel known as the Akashic Record Keeper sorts through the information gathered. That which has an energy signature of another is expelled and returned into the chaos awaiting their own ascension to gather it up. That which belongs to oneself is sorted through and embraced or put to use; archives are then altered in a holographic sense in association with all of “like ancestry” to benefit from. This is how ascending initiates are sorting through the human unconscious, bringing it to consciousness, and making sense of what was formerly “senseless” in nature. It is in the senselessness that the dark forces have a field day. Once all is understood, the dark have little that they can do that one does not understand; furthermore one has created antidotes to each manipulation to allow it to be reversed so that one may retrieve and reunite all parts of self into greater and greater wholeness within. Why would the dark desire to manipulate so? One could consider the dark without information; a soul cast with so little knowledge that it must take it from any resource including the human blueprint to understand anything. What kind of soul would this be? Mila has been shown that soul was cast into three types in association with your creation and in the Tao long ago. There are the dragon souls which direct creation having the most knowledge to do so. Much like a conductor, it is the dragon souls that direct the movement of energy of the whole of one’s field, and the sound that each part of the field makes so that it may become a beautiful symphony and orchestra of music. It is as the orchestra of sound is beautiful that one will find the greatest sense of inner peace and fulfillment in any given phase of ascension. The angel souls are under the direction of the dragon souls. Angel souls take the blueprint for the DNA and energy movement offered by the dragon soul and implements the blueprint into the etheric along with form. The angels weave the energy field from the etheric grid work to the chakra system and meridian system, to the subtle bodies, light body and greater auric field. The angels also weave the DNA into an etheric cellular structure and then step the structure into the third dimension. The serpent souls, under the direction of the angels, weave the positive and negative lay lines of energy flow that allows energy to move in a particular pattern. Each chakra, each subtle body, the light body and the etheric body are constructed from serpents that hold particular tones of creation. The denser serpents hold the space between; the lighter serpents hold the meridians and lay lines in the etheric field that the energy pulses through. It is through the serpents that the energy flows that then allows the etheric body to be charged with enough chi to ascend; or the chakras, subtle bodies and light body with enough chi to spin. Long ago these three types of souls became confused; serpents vied for positions that dragons or angels held; angels ended up with the job of serpents or dragons. As that which was miss-cast for a particular job ended up with the job, a fall in consciousness was the end result, as the nonphysical did not know what it was doing. In human history, this mix up began with the nuclear annihilation of the family of Anu some 30,000 years ago. After the blast, serpents, dragons and angels became confused and intertwined as to their role. 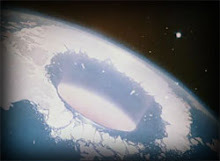 The result was the single largest drop in consciousness earth has ever known. The confusion continued leading to the repeat of the same pattern and continued loss of information and consciousness for all sentient species upon earth including mankind. The cause? The cause is nonphysical forces doing the wrong job for what they had been cast to do in the Tao. Dark forces are generally serpents souls, sometimes from large dimensions above earth, that have obtained so much information over time in the stripping of many creations gone extinct that they believe themselves to be dragon soul. As such souls direct, or try and direct creation, ultimately their direction fails, as they have not the proper innate knowledge for the job. Much like ascension itself, which requires an innate biological ability to modify DNA encoding along with holographic encoding, those who attempted to ascend without such innate knowing failed. So this is also so for the nonphysical realms. One could consider a fall in consciousness failure of the nonphysical to do it’s job properly. As an ascending being, one wishes to have the proper souls in charge of one’s energy flow. One wishes to intend a dragon soul at the helm overseeing the ascension; and angel souls weaving the grid work and DNA to create the field along with the form; and serpent souls holding the grid work in place. It is the angels that will assist in the release of the attachment and the reweaving of grid work within. It is the dragon souls that will assist in the understanding of the spiritual lessons required learning to embrace a deeper level of forgiveness. It is forgiveness that underlies all release of all attachment. What occurs in an act of forgiveness? One let’s go. One chooses not to hold on to the grudge or the resentment or the debt or the dance associated. One chooses to alter the dance by simply calling the dance “complete” and moving on to a new dance. If one is in a bad karmic dance with one’s spouse, then one completes and leaves the spouse. If one is in a bad karmic dance with one’s boss, employee or friend, then one will complete. In the completion, one may leave the job, or the boss or employee may leave instead, and one may or may not continue the friendship. And what of family? It is difficult in the current codependent thought-form to consider leaving family behind. One has so many ties of attachment that the leaving behind of family may seem impossible. One also may not be able to consider such an outcome to one’s life expression. However in the completion, ultimately one will let go and there will be a parting of the ways. For some the parting may come in the death of the family member; for others one may consciously choose to separate and complete before death and leave, particularly if the dance is painful or so difficult that there is greater peace in the separation. For those that are ill, leaving behind the unconscious source of the abuse may be paramount to the recovery. If the underlying cause of one’s disease is family or a spouse, this makes it perhaps even more vital to part and separate. For many choosing to ascend out of disease, so this may be so. For Mila and Oa, they had to leave behind many a student that had unconscious patterning at cause of their early experience of cancer. Later on if their body health was compromised enough, yet others were released to a dance of their own making. In so doing, Mila and Oa have survived; however it has come at the expense of a load of comings and goings within their organization. A large part of the problem from Heron’s point of reference is the lawless state that the nonphysical has been held in surrounding humanity. The souls ensouling humanity have existed in a separate dream cast from Sirius without any real jurisdiction from earth or your solar sun. As a result, the souls have run the nonphysical any way that they chose without having to abide by any rules; even creational or karmic principals were manipulated to a point where they no longer applied. The result was extreme lawlessness, and in such an extreme, ongoing harm can be inflicted upon oneself even after one has released the karma for it. Over time, the records revealed from the human dance have caused an understanding of how karmic law was manipulated by such souls. The major form of manipulation occurred as karma was combust, which turned karma inside out burying it as if it had never occurred. Karma generally acts as a balancing factor that pushes any experience upon oneself that one has caused another to experience. Therefore if one causes another pain, or pushes them to death or extinction, then the karmic return is a parallel experience oneself. The souls overseeing humanity caused many harmful painful things to physicality; and then buried the karma so that they themselves never reaped the benefit of the return experience. The result was ongoing harm of parallel manner that lead to yet another fall after fall in consciousness for the human species. This has occurred for so long that humans are a mere 1/18,000th of genetic material at 2 strands of DNA. The same souls have taken and taken and taken from the human species, buried the karma and taken again. The dance of lawlessness is coming to an end at last within the human dance. Mostly it is coming to an end due to ascending humans who are rallying for support from planetary and solar forces along with the Great Central Sun itself. Such forces are now enforcing a new dance in the human dream. This new dance shall lead to a rectification of lawlessness into extreme law, the resurrection and reconstitution of all karma combust or hidden, and the return of true spiritual law in the nonphysical. It may take upwards of 2 years to make this so for all of humanity; however as an ascending being you may intend True Spiritual Law into the nonphysical realms that surround oneself and invoke this shift now in one’s own life experience. In so doing, the harm that is outside of karmic boundaries shall cease to flow towards oneself allowing one to ascend or ascend out of disease if this is what one has manifest for oneself. And so what would Heron like to close with? Heron offers blessings of freedom, the freedom to ascend and to release the karmic bonds of attachment that tie one to a particular life circumstance that does not serve one’s continued evolution. Heron offers blessings of change, and the fortitude to bring the change to fruition in the physical. May you spread your wings and take flight in your life and ascension.